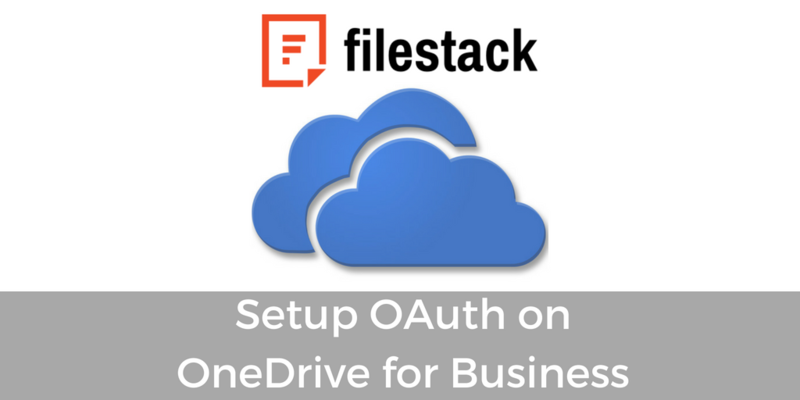 In this edition of Filestack Tutorials, you will learn the basics of setting up OAuth on OneDrive for Business. First, you’ll create your Microsoft Azure OAuth application, then configure it for OneDrive access, and finally integrate it with your Filestack application. The tutorial will help you create your Microsoft account configured by Azure Active Directory’s admin as well as an account with a OneDrive for Business license for access to the Azure account. OAuth is an easy way to publish and interact with protected data that saves you time through the use of an open authorization framework that allows websites and services to share assets among users. This means users can log into third-party websites with Microsoft, Google, Facebook, or Twitter accounts without exposing passwords. OAuth allows access to websites, without exposing them to unauthorized access through the sharing of passwords. What’s Included in This Tutorial? In addition, the tutorial will show you how to define additional scopes in Office 365 SharePoint Online, including reading and writing items in all site collections and reading and writing user files. You will add one scope to Windows Azure Active Directory and change the settings to create an expiration key. Finally, you’ll add the key and your Application ID to the Filestack Developer portal. This tutorial is helpful for CTOs of small businesses, developers, and project managers, and can make creating, readying, uploading, and delivering files in a breeze. Filestack began as a file uploading API for developers but has since evolved into an effective set of developer tools to support content from creation to delivery. In Filestack, machine learning technologies tag and categorize images; keep in mind that, if you have a specific business need, we can also create a custom machine learning model just for you. Why Should I Watch This Tutorial? This tutorial can help you deploy files using the cloud and your OneDrive files, and grant other people access to your websites without compromising website security. Microsoft Azure is an expanding cloud services set that uses your favorite tools and frameworks and integrates with OneDrive to make accessing and using your files easy. If you have any questions, leave them in the comments section and we will respond as soon as possible. Thanks! Should You Be Using OCR For Receipts?